Believing is not the same as Being Saved. Lisa Martin. Robert Kroetsch Series. University of Alberta Press. Edmonton, Alberta. 2017. 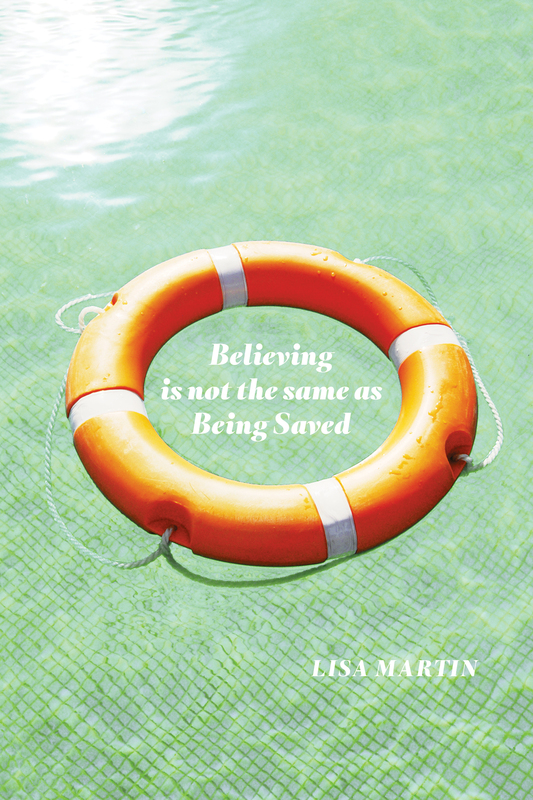 Believing is not the same as Being Saved is a quietly elegant book of poems. Lisa Martin comes to Today's book of poetry with a book ten years in the making. You can see and feel the meticulous care Martin has taken in crafting these poems, constructing this book. This is yet another case of Today's book of poetry feeling our skill set is not quite up to the task. How can I explain how the universe of each Martin poem is a self contained marvel or how collectively these myriad universes meld into one clear, constant gaze? Lisa Martin has some serious jam. a pair of worn shorts, sweat rising to the surface. the exact quality of light on the surface of that rock. isn't to walk past that song into knowledge. we all could be saved. Birth, death, love, loss - yep, they're all in Believing is not the same as Being Saved as bold as brass and writ large. Martin understands that much of life is a paradox, that joy and sorrow are birds dancing on the same high wire. Martin is trying to concern herself with how one lives a good life, how one becomes a good person. Today's book of poetry has always thought this a noble and worthy pursuit. Luckily for us Martin is completely up to the task. Reading these poems we know, we see, that Martin is striving for a stab at truth in each and every one of these lyric narratives. Martin is systematic and as cool as a cat with a bird in her mouth. These poems are ready to bargain you to another place, just like Bukowski's Mockingbird. the path it cannot name. The Todays' book of poetry offices are a little different today. Visiting poets Justin Million and Elisha Rubacha are currently snoring in the Stuart Ross Poetry and Guest Room so the rest of us are trying to keep our vibrant hum to a minimum. We have the stereo on low. This morning it is Saint Charles of Parker and Lady Day, the sublime Billie. Today's book of poetry was recently gifted two large boxes of poetry, mostly Canadian. After culling through and finding more than a dozen treasures - we left the boxes on the floor of our office for any visiting poet to romp through and take what they please. Justin and Elisha loaded up upon arrival last night, they are in town for the Ottawa Small Press Book Fair which is taking place this afternoon. They both read at the gala last night. Everyone in our offices enjoys taking home new poetry so the arrival of the boxes, much like that of Million and Rubacha, was like Christmas. But there isn't much celebrating in Today's book of poetry offices this week with the departure of Odin to greener poetry pastures. As Lisa Martin helps us to remember, helps us understand, there are as many different types of loss as there are methods of grieving. The office troops rallied when we opened up Believing is not the same as Being Saved. Kathleen, our Jr. Editor, opined that Martin was "a new kind of feminist" so of course we had to ask what she meant. Kathleen replied that Martin was a "pragmatic realist and subterranean subversive at the same time." The troops did rally, Odinless, for an engaged morning read of Believing is not the same as Being Saved as we danced Ms. Martin around the room. You wouldn't instantly get that these poems are so robust because Martin's smart might be confused for delicate. Martin is no such thing. She is detailed, precise and certain. condemnation makes a bruise in the heart of this terrified world. by light and warmth they can't leave, even if it doesn't nourish them. reached by available means. Maybe we know only what we must. can be found by attentive travellers everywhere from Edmonton to Singapore. Inside anything, at any time:locate a container for something strange. sport massive viewing windows, but hardly anyone's looking through. you know this. You know it's not the sun that turns away. Today's book of poetry was newly smitten by the writing of the talented Lisa Martin and can only hope we don't have to wait another ten years to read the follow-up to Believing is not the same as Being Saved. We are certain it will be worth the wait but less sure we have another ten years in us. Lisa Martin, get to work, and thank you. Lisa Martin. Award-winning poet, essayist, and editor Lisa Martin is the author of One Crow Sorrow (2008) and co-editor of How to Expect What You’re Not Expecting: Stories of Pregnancy, Parenthood, and Loss (2013). She teaches literature and creative writing at Concordia University of Edmonton.